For Kai Li, a finance professor at UBC Sauder School of Business, it’s become a familiar sight. In a typical year, about 50 percent of the school’s commerce undergraduates are female. 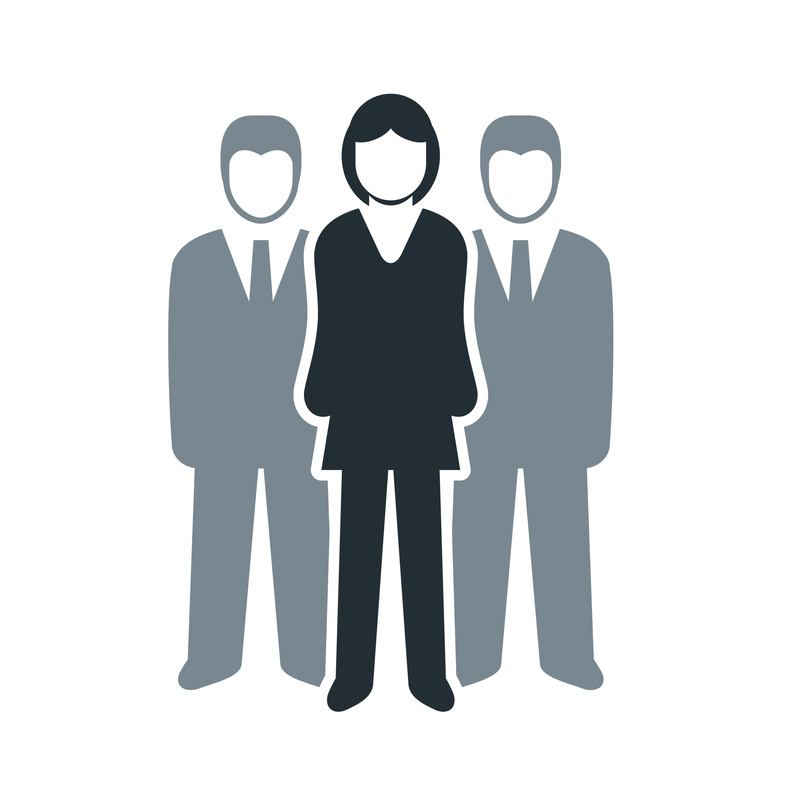 But as third-year specialization approaches, relatively few women choose finance. Li, who teaches a course that readies students for the investment banking industry, thinks there’s both a supply and a demand problem. “People who I invite as guest speakers, there are very few female role models, unfortunately,” she says. At the same time, investment banking’s long hours may not appeal to women seeking work-life balance. Despite such challenges, this province is home to a remarkable group of women working in financial roles. 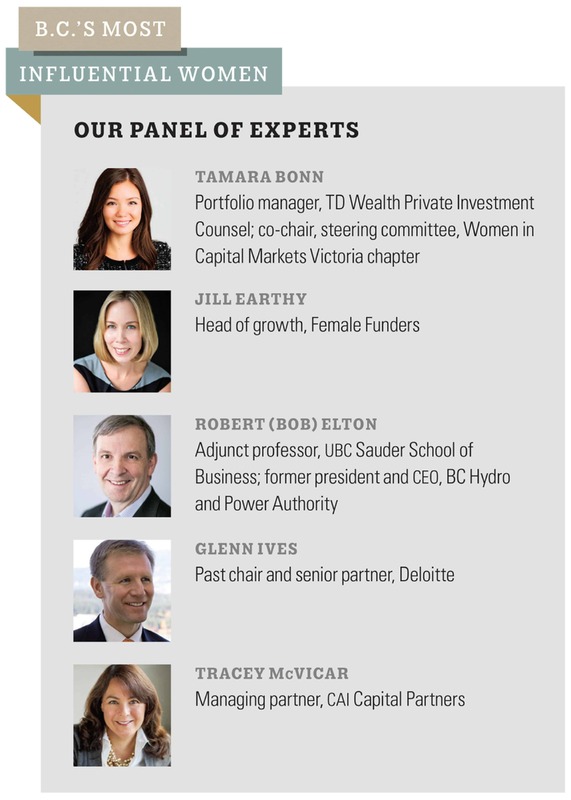 For our fifth annual B.C.’s Most Influential Women feature, we again sought the advice of an expert panel (see below)—three of whose five members are women making their mark in finance—to identify names worthy of recognition. We defined finance broadly, to encompass everyone from CFOs and entrepreneurs to bank executives and money managers. As usual, our list is representative, not exhaustive or definitive. The goal is to celebrate the achievements of female leaders at different career stages, hear some of their stories and show how big an impact they’re making as a group. This time around, we’ve divided the list into six categories, mindful that some of them overlap. In the financial sector and elsewhere, research suggests that female leaders make a business more successful. In a 2016 global survey of almost 22,000 companies, the Washington, D.C.–based Peterson Institute for International Economics found that nearly 60 percent had no female directors and fewer than 5 percent had a female CEO. However, among profitable companies surveyed, those with 30-percent female leadership in the C-suite could expect their net margin to be 1 percentage point higher than the others—a 15-percent profit gain. Also in 2016, in a study of male and female Finnish traders from 1995 to 2011, women averaged an impressive 21.4-percent annual internal rate of return across the 28 stocks tracked. On average, the researchers found, they bought shares for less and sold them for more than their male peers. For her part, Li co-authored a 2014 study of acquisition bids by S&P 1500 companies from 1997 to 2009, showing that for each additional female director, the price a firm paid for its takeover target fell by 15.4 percent. Asked what can be done to get more women interested in finance, she points to Wall Street banks’ move to limit the number of hours worked, including a ban on weekend toil. Fostering a workplace culture that welcomes gender and racial diversity is important, too, says Li, who is also UBC Sauder’s senior associate dean, equity and diversity.